Favourite Things: Playing ‘Frustration’ and ‘Loopin Louie’. 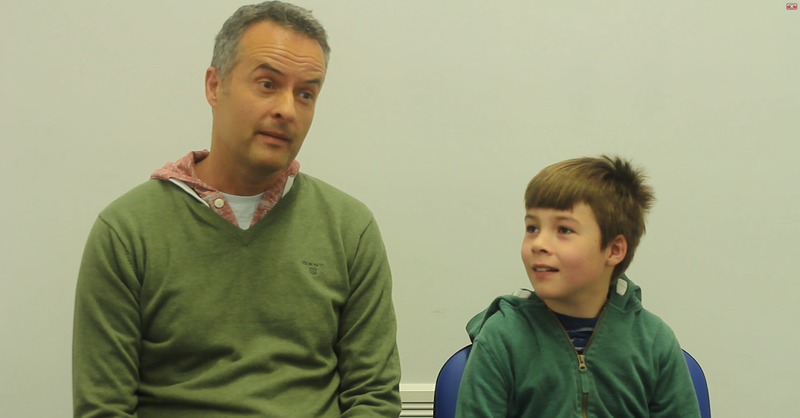 Harvey’s dad: "Harvey would you like to have another go at CIMT?" Harvey’s movement was limited in extension, supination and deviation of the wrist. Even though Harvey had good active movement of his fingers he lacked control and tended to be in full flexion or full extension. The combination of these difficulties made it hard for Harvey to orientate his hand and fingers around objects and control his grasp and release. Harvey was unable to disassociate his fingers which made it impossible to achieve him to pincer grasp. 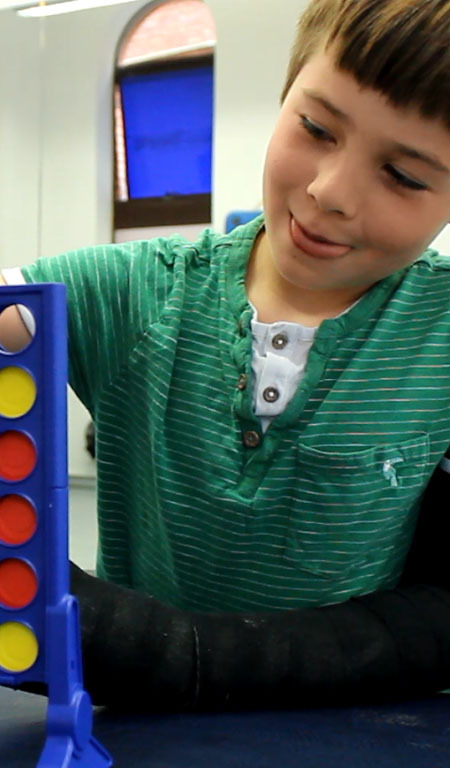 Harvey was able to use his right hand in activities when prompted to, however, if given the option to choose his left arm would quickly complete the activity. Over the next 3 weeks we aimed to focus on the problems described with the view to increase Harvey’s ability to use his right hand effectively. 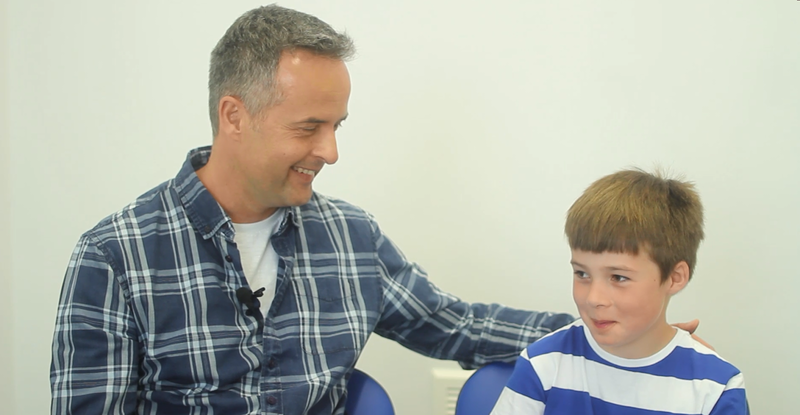 “The team was utterly flawless, fun and supportive, thank you very much!” - Laurent, Harvey’s parent. 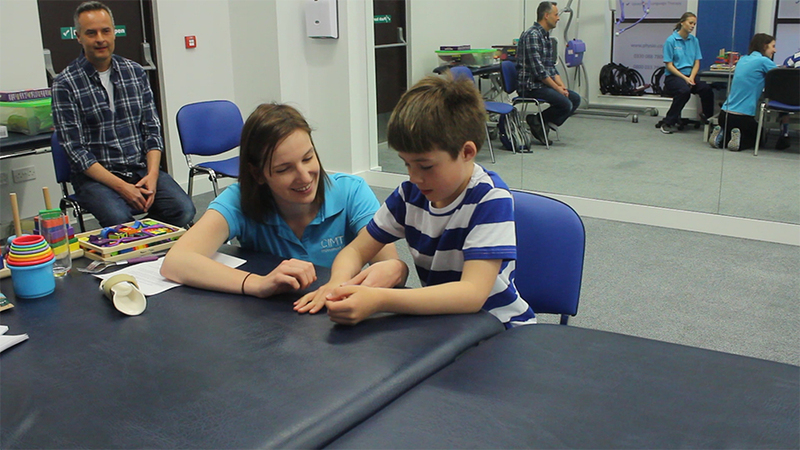 The aim of the programme was to increase Harvey’s ability to use his right hand as an effective assisting hand, enabling him to achieve functional goals around getting himself ready for school independently. 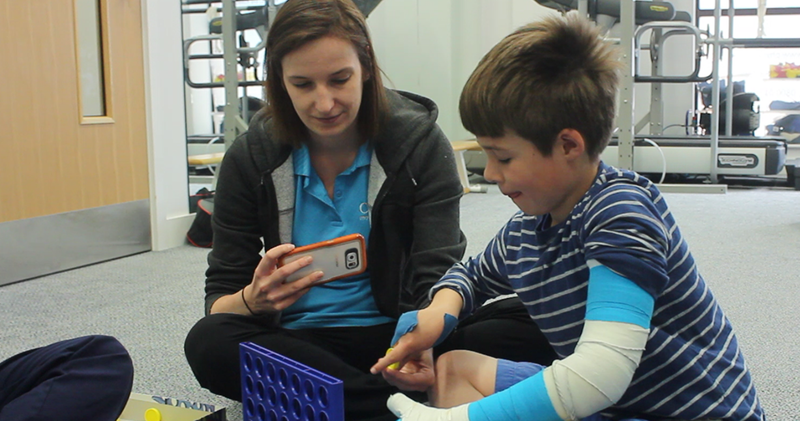 Our CIMT therapists tailored a programmed specifically around Harvey’s goals making each activity meaningful to him and his family. 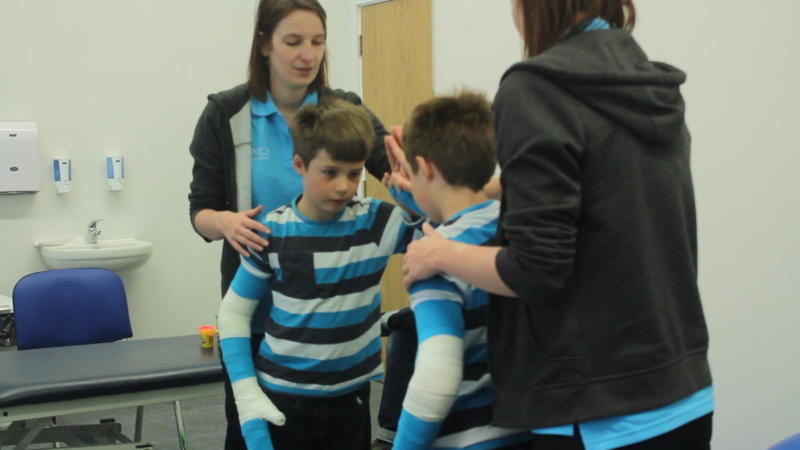 The combination of the non-removable cast and targeted therapy aimed at increasing awareness and use of Harvey’s right arm and stimulated the formation of new pathways for movement in his brain. 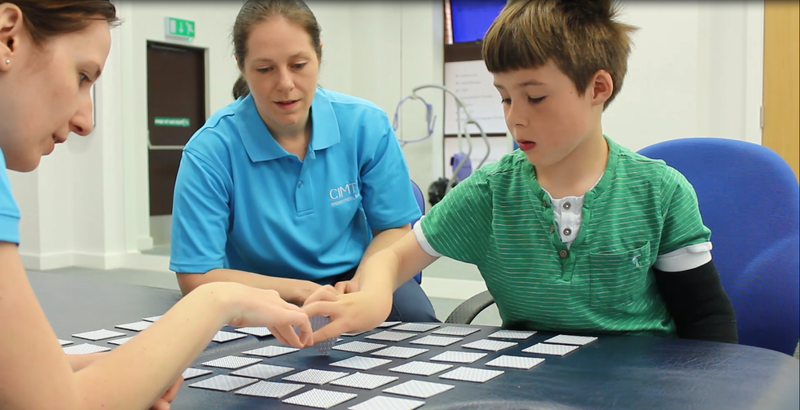 Using his right hand repetitively for meaningful tasks over a relatively short period of time produced lasting changes in Harvey’s neuro pathways, consequently promoting functional use of his affected side. Increase in shoulder strength and control which enabled him to throw and catch using both hands. 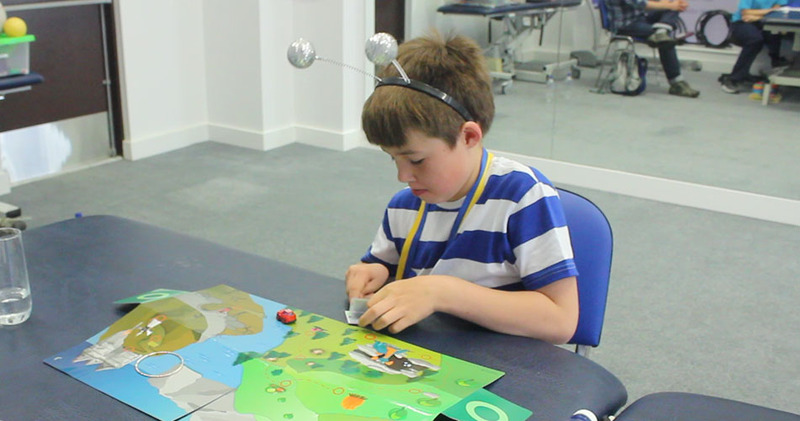 Harvey developed the ability to isolate his index finger which allowed him to press buttons and point. Harvey’s finger and thumb control improved which gave him the ability to successfully pincer grasp. Harvey’s wrist is in a more functional position and he is now able to abduct his thumb allowing him to grasp small items from the flat surface. “Physically, Harvey has notably more strength in his right shoulder and arm now. We are really happy with the results. In a nutshell it’s been great and we would definitely do it again.” - Laurent, Harvey's dad. One of the reasons why Harvey and I bonded so well was our competitive nature. "The clinic environment is great, therapists bonded with Harvey right from the beginning which is great as he is really shy"